We’re glad to announce today that little Scotty Doss is a year old, and he’s a mighty fine-looking boy. In fact, he’s a big boy for a year old. A lot bigger than I thought he’d ever be, from the way that he started out in that incubator for so long in the hospital. 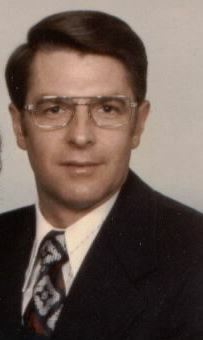 We’re proud of him, and hope all of you will take a look at him on his first birthday this morning (April 23, 1978, SGF). Every person is accountable for their actions and needs to be reconciled unto God. This is because all have sinned and come short of the glory of God (Romans 3:23). Therefore if any man be in Christ, he is a new creature: old things are passed away; behold, all things are become new. And all things are of God, who hath reconciled us to himself by Jesus Christ, and hath given to us the ministry of reconciliation; To wit, that God was in Christ, reconciling the world unto himself, not imputing their trespasses unto them; and hath committed unto us the word of reconciliation. 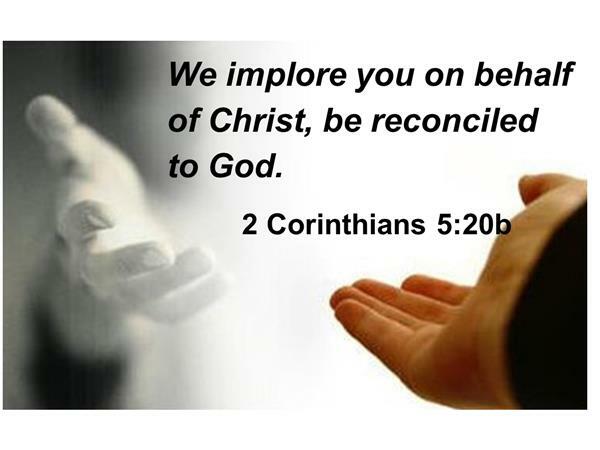 Now then we are ambassadors for Christ, as though God did beseech you by us: we pray you in Christ’s stead, be ye reconciled to God (2 Corinthians 5:17-20 KJV). The word “reconcile” or “reconciliation” actually is a compound word, made up of the words “re” and “conciliate.” The word “re” means “again” and, the word “conciliate” means “to make friends.” Therefore, reconciliation simply is the process of making friends again. The term reconciliation implies that people at one time were good friends. And then that friendship was broken for some reason or another, and then it must be restored. And so the idea of reconciliation is the idea of being good friends, and that friendship has been broken, and then that friendship has been restored. Now suppose this morning that there were two individuals that were real good friends. They’d been friends for a long time. They were just like brothers. And then something broke that friendship. It might be that it would be a wrong that was committed by one or the other. It might be that one of the individuals was superior to the other and the other was inferior. But for some reason or another that friendship was broken, and then they are to be reconciled or restored back to that friendship. In order for that friendship to be restored, whatever it was that broke it in the first place must be removed. Jesus said, “Therefore if thou bring thy gift to the altar, and there rememberest that thy brother hath ought against thee; Leave there thy gift before the altar, and go thy way; first be reconciled to thy brother, and then come and offer thy gift (Matthew 5:23-24, KJV). The idea there is that whatever it is that is breaking the friendship, you are to go and to remove that which is offending your brother, or that which has broken your friendship, and then you can come and worship God. And so whatever it is that offends or breaks the friendship between two individuals must be removed before friendship can be restored. But then there is another thing that we must notice in this analogy of two friends whose friendship has been broken, before it can be restored. Suppose a mediator is going to be brought in to try to reconcile these two individuals together. Suppose that the mediator is a good friend of one, but he’s not the other. Why, he wouldn’t work out as a mediator, would he? Because no matter how fair and how just he might be, the man to whom he was not related would say, “I’m afraid that, all things being equal, you’ll still be prejudiced toward the other individual because you’re related to him and you’re not related to me.” Or suppose the mediator that was to be brought in to reconcile the differences between the two individuals was a party to the conflict. Could he be unbiased? Could he be fair? If he had actually been a party to the conflict, could he be just? Why, no. And could he be a proper mediator if he did not have all the facts involved in the alienation or the separation of the two individuals? Why, no. And so to be a proper mediator, he must be unbiased, he must be objective, he must not be a party to the conflict, and he must be related to both parties involved in the conflict. Now, friends, this is exactly the case between man and God. At one time, God and man were good friends. In the Garden of Eden there was perfect harmony, concord, and peace between God and man, whom he had created in his image. They were able to walk together and talk together, as the song says; they were able to be good friends. But you know the story. The archenemy of all mankind—Satan, who was a liar from the beginning, came to our first parents and he slandered God to them and them to God. And Adam and Eve sinned against God’s positive divine law. The friendship that had been previously enjoyed was broken. Adam and Eve hid themselves behind the trees in the garden. And God was not able to converse; God was not able to fellowship man as he did in the beginning because of sin. And so they had been good friends, but that friendship was broken by sin and by wicked works and iniquity. And then whatever it was, of course, that broke that friendship needed to be removed before man can be reconciled back to God. But in order for that to be removed, there must be a mediator. 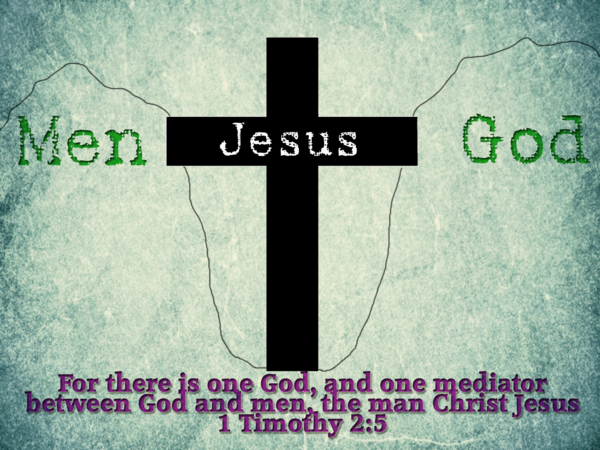 And the Bible teaches us that there is one mediator between God and man, the man Christ Jesus: “For there is one God, and one mediator between God and men, the man Christ Jesus” (1 Timothy 2: 5, KJV). Now, does Jesus Christ qualify to be our mediator between God and man? Well, in the first place, he’s not a party to the conflict, because Jesus Christ never committed any sin. On one occasion he said to some of his detractors, “Which of you convicts me of sin” (John 8:46)? Not one sin could be charged and proved against our Lord and Savior Jesus Christ. And so in that sense he is a neutral, because he was not a party to the conflict or to the alienation between God and man. In the second place, he qualifies because he is related to both God and man. In Romans, Paul declares “Jesus Christ is the seed of David according to the flesh, but he is the Son of God according to the power of the Spirit” (Romans 1:4). So he is both God and man. He was the Word throughout all eternity, who “in the fullness of times was made flesh according to the seed of the woman” (Galatians 4:4). So he qualifies because he’s both God and man. Now, there we have it. He was in the form of God in the beginning, but he humbled himself, he emptied himself, and took upon himself our human nature. Why? In order that he might both, be able to approach God and to approach man as our great mediator and high priest. That’s the reason the Bible says in Hebrews that “We have not a high priest which cannot be touched with the feeling of our infirmity, but was in all points tempted like as we are, yet without sin” (Hebrews 4:15). So he qualifies in all of those respects to be our great high priest and our mediator to bring about reconciliation between God and man. Now, as I said a moment ago, in order for two individuals whose friendship has been broken to be reconciled back together again, whatever it is that broke the friendship must be removed. There are actually three things that broke the friendship between man and God. God’s perfect law was offended, or violated. It was violated by sin. And as a result of breaking God’s law by sin, death came upon all mankind. Romans 5:12 says, “Whereby as by one man sin entered into the world and death by sin, so death passed upon all men for all have sinned.” And so we have God’s perfect, divine law that was offended by sin or rebellion, and the result was death. No doubt I have related before this ancient mythological story to you from the ancient Greeks. 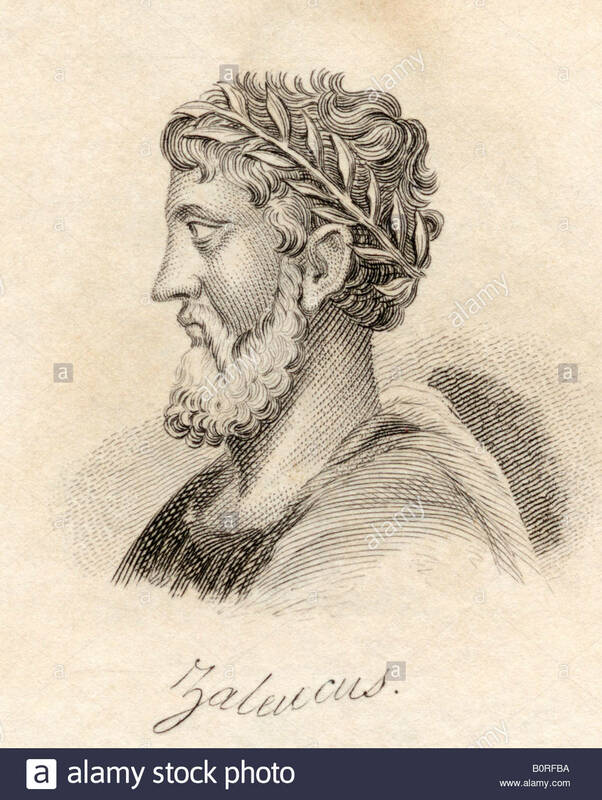 It’s the story of Zaleucus, who was the king of the Locrians, in the seventh century B.C.. He was a great king, his law was just, and he was just in the administration of his government. He passed a law throughout his empire that whoever was found to commit adultery in his kingdom would have both of their eyes put out, or removed. It seems that immorality was raging throughout his empire and he had to bring it under control. And he passed a law that the first person found breaking that law would lose both of his eyes. As the story goes, the king’s own son was the first one charged and found guilty of that crime, or the infraction of his law. The king was in a dilemma. What could he do? On the one hand, he had passed a righteous and just law. On the other hand, his son whom he loves was found to be guilty of breaking that law. If he ignores the law, then his subjects will not respect his law or his authority. But on the other hand, if he allows both of the eyes to be removed from his own son, then they won’t respect him as a king, because they’ll say, “he’s a cruel, dictatorial, and a harsh king, and we won’t love him and we won’t serve him, because of what he did to his own son.” So the king resolved his dilemma by saying, “Bring my son and remove one of his eyes. And then come and remove one of mine own eyes.” In that way, his son was still able to see, and the king was still able to satisfy the demands of his law (See Robert Milligan, Scheme Of Redemption, p. 227). Well now, that may be a feeble illustration, but at least it illustrates that which alienated God and man. It was God’s law that was broken. It was broken by man’s rebellion and sin against his creator. And as a result, death ensued throughout the whole world. Now, Jesus Christ came into this world to remove the barrier between God and man. How did he do that? He took away the Law of Moses, which stood as a wall of partition, or a bulwark between man and God (Colossians 2:14). And then he shed his own righteous blood upon Mount Calvary in order that God might be just in justifying sinners. And then God raised him up from the grave the third day, triumphant and victorious over Hades and death and the grave. So Jesus Christ has removed all three of the barriers that stand between man and God. “Therefore if any man be in Christ, he is a new creature: old things are passed away; behold all things are become new. And all things are of God, who hath reconciled us to himself by Jesus Christ, and hath given to us the ministry of reconciliation” (2 Corinthians 5:17-18). Now, we’ve heard of good religious people who have the idea that man is not to be reconciled back to God, but God is to be reconciled to man. Nowhere in the scriptures do we have any idea, any implication, that God must be reconciled back to us. In the first place, we are the offending parties in the alienation. We are the inferiors. God is the superior. We are the ones who broke the perfect harmony and friendship between God and man. God today stands right where he has always stood. It is man that alienated himself from God and left God. Therefore, the Bible does not picture God as being reconciled back to us, but rather it is man being reconciled back to God. But if man had been left completely and strictly by himself to be reconciled back to God, he would never be reconciled back to God, and therefore, God sent Jesus Christ into the world to show us the way and how to be reconciled back to our Maker. And Christ removed the barrier that stood between man and God. And so God today reconciles us back to himself by Jesus Christ. And that’s what Paul says in our text when he says, “All things are of God who hath reconciled us to himself by Jesus Christ.” There would not be any possibility that we could be reconciled back to our Maker apart from our Lord and Savior Jesus Christ. He died for our sins. He shed his blood that we might be forgiven of those sins. And he was resurrected from the grave, “the first fruits of them that sleep,” in order that we might conquer all the consequences of our sin and our alienation from God. And so today we do not teach that sinners ought to get down on their knees and cry and shed tears of penitence in order that God might come down and reconcile himself to us, but we rather preach and teach that men ought to be reconciled back to God on God’s terms. Now, those are exactly the terms, which our mediator has announced by which we may be reconciled back to God. Now notice our text: “To wit, that God was in Christ, reconciling the world unto himself, not imputing their trespasses unto them” (2 Corinthians 5:19). The word “imputing” means, “to charge against.” Now when we comply with the terms of The Great Reconciler, Jesus Christ, then God is reconciling us to Himself by Jesus Christ and He doesn’t charge those sins against us because He has forgiven us of those sins. 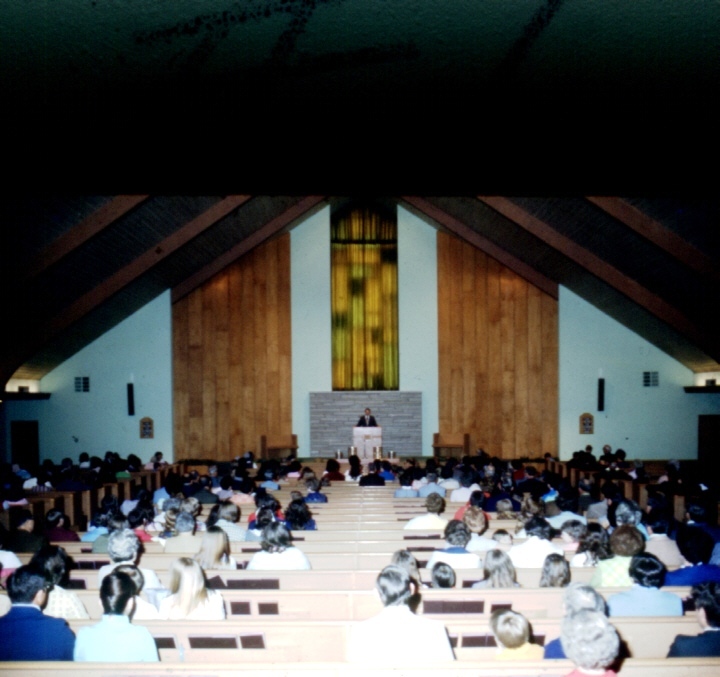 In Hebrews chapter 8, the Bible talks about the new covenant in contrast to the old covenant. And the main contrast is: In the new covenant, he does not remember our sins and iniquities against us anymore. But as far as the east is from the west, that’s how far sin is removed from man in order that he might be reconciled to God. Now, notice Paul says, “To wit, that God was in Christ…not imputing their trespasses unto them; and hath committed unto us the word of reconciliation” (2 Corinthians 5:19). How does God reconcile us today? It is through the word of reconciliation. What is the word of reconciliation? It’s the gospel of Jesus Christ. Paul says, “I’m not ashamed of the gospel of Christ, for it is the power of God unto salvation to every one that believeth, to the Jew first and also to the Greek. For therein is the righteousness of God revealed from faith to faith as it is written, the just shall live by faith” (Romans 1:16-17). My friends, there is no reconciliation today apart from the word of God. In Ephesians chapter 2, Paul says, “You who sometimes were afar off”—who’s that? That’s people who have been alienated from God by sin. They were afar off. But he said, you “have been made near by the blood of Christ. For he is our peace who hath broken down the middle wall of petition between us, having abolished in his flesh the enmity” or, the hatred—“even the commandments contained in ordinances, that he might make of the twain one new man so making peace, having destroyed the enmity thereby.” Then he says, “He came and preached peace to you that were afar off. And he hath reconciled us in one body by the word of the cross” (Ephesians 2:14-16). Notice that when we are reconciled back to God we are also reconciled in the one body-the church (Ephesians 1:22-23). And so, friends, we’re reconciled unto God by Jesus Christ through the ministry of reconciliation of the apostles and preachers of the gospel, and that’s brought about by the word of reconciliation, and the word of reconciliation brings us into the body of Christ, or the church, where we are friends with God, we are at peace with God, having been reconciled by the blood of the cross. And so, there it is. 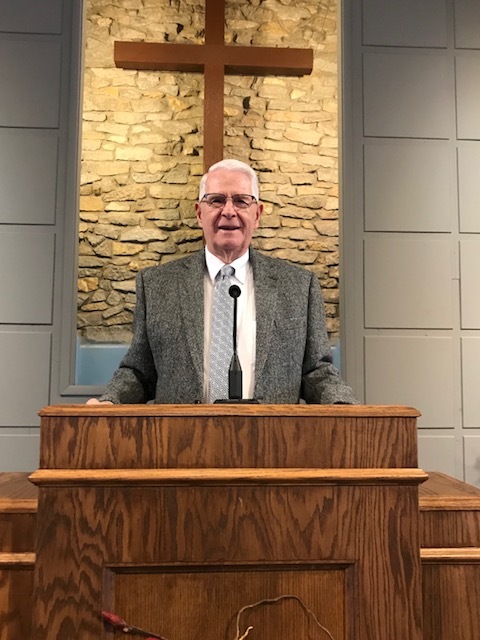 The ministry of reconciliation, the word of reconciliation, the word of the cross, and all of that brings us back to God, back to Christ, where we are good friends, where we are one and in harmony with our Maker because God has made it possible. Next WHO SHOULD BE BAPTIZED AGAIN?